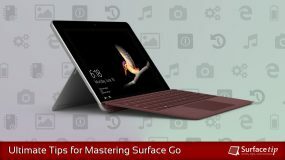 Microsoft Surface Go comes with dual stereo speakers, which offers a really nice sound quality for watching videos on Netflix, playing games, and other media consumption activities. In addition to the stereo speakers, Surface Go also supports Dolby Audio Premium technology which will enhance overall sound quality for richer, clearer, and more powerful. 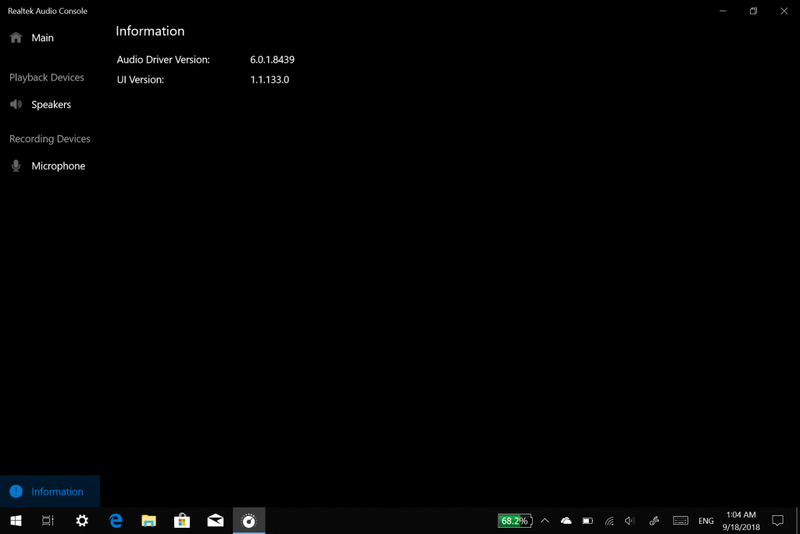 One more unique thing about Surface Go is it’s preinstalled with Realtek Audio Console app. And today, we will take a closer look at the app. 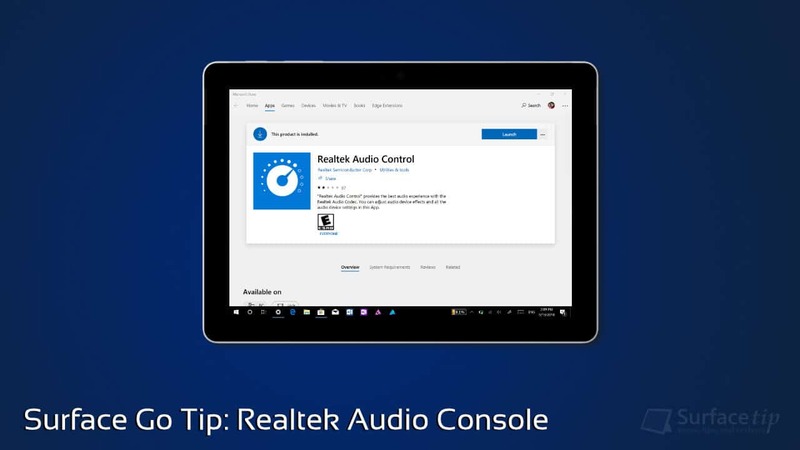 The Realtek Audio Console is a UWP app developed by the Realtek Semiconductor Corp, which is also available to be downloaded from the Windows Store. Unfortunately, this app only available on some supported PCs. I’ve tried to install on my Surface Book which also uses Realtek and supports Dolby Audio Premium, but it won’t install. Has a basic mute and volume control for both speakers and microphone. Has more controls over the speaker’s settings including main volume, balance, sound effects, default format, and speaker configuration and testing. Has more controls over the microphone’s settings including the main volume, mute, microphone effects (noise suppression), and default format. Has information about audio driver version and UI version. 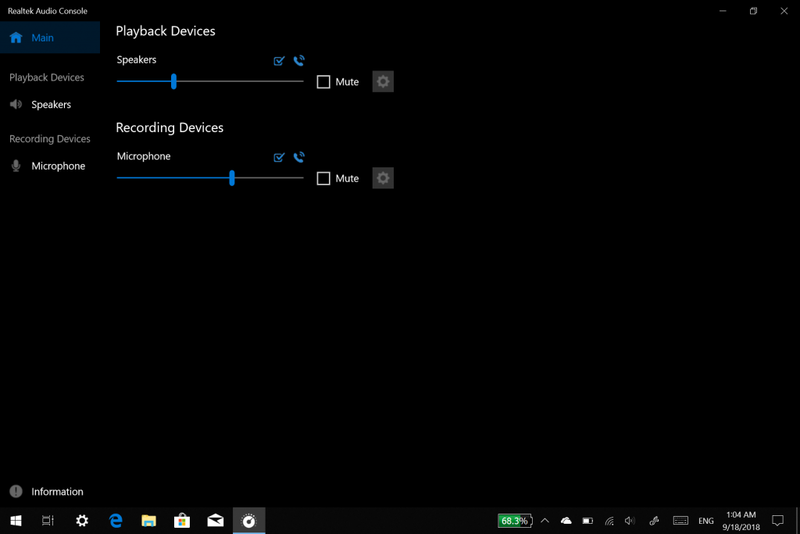 Unlike other Surface’s sound settings, Dolby Audio option doesn’t available in Windows 10 Sound Control Panel. 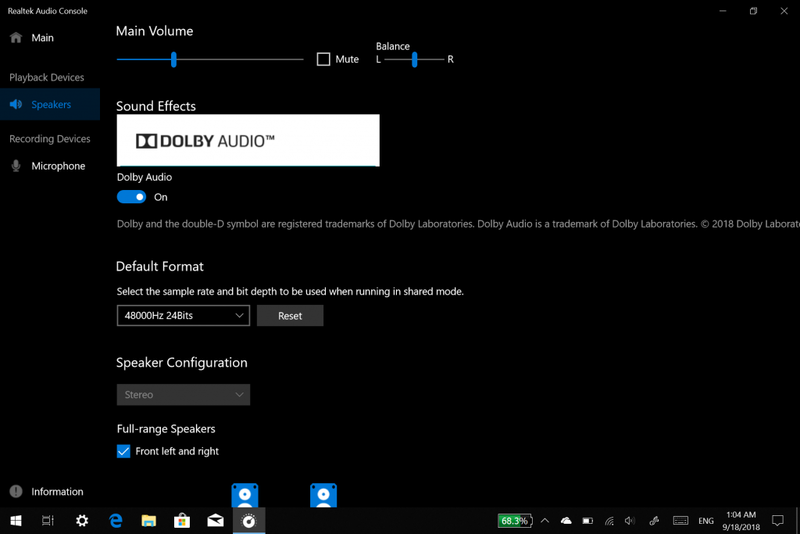 To enable/disable Dolby Audio on Surface Go. , in case it isn’t preinstalled on your device. Open the Realtek Audio Console app, from the app list. Go to the Speakers section. From here you have the option to turn on/off the Dolby Audio option. We appreciate hearing your thoughts, questions, and ideas about “Surface Go Tip: Managing Sound Settings with Realtek Audio Console App”. Please post respectful comments and on topic. We will be replying back to you as soon as possible. 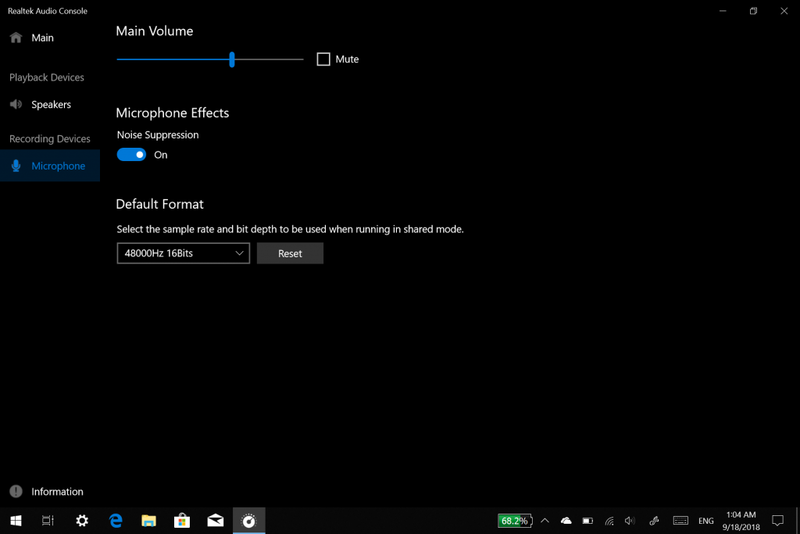 Share your idea about "Surface Go Tip: Managing Sound Settings with Realtek Audio Console App".